As Vancouver warms up once more for the annual Vaisakhi celebrations on April 15th, a unique public art project comes to Punjabi Market. Curated by Indian Summer Festival, the project treats the street banners along a four-block stretch of Main Street as a canvas for high calibre art. Indian Summer Festival asked two celebrated artists to respond to the idea of Punjabi Market as a place of gathering, commerce, continuity of cultural tradition and food. Susan Point, whose monumental works grace Vancouver International Airport, Stanley Park and the Convention Centre, is one of the city’s most revered art practitioners. A major exhibition surveying Point’s entire career is currently on at the Vancouver Art Gallery until May 28, 2017. Orijit Sen, one of India’s most respected artists and graphic novelists is the artist behind the mammoth mural installed in the Khalsa Heritage Museum in Anandpur Sahib, Punjab. They responded with an artwork each, to be displayed side by side, in dialogue with each other. To Susan Point, the themes immediately found resonance in her existing artwork ‘Three Rivers’. The work was inspired by a spot on her son’s property near Quesnel, BC where the Fraser and Quesnel rivers meet, and where you can have one foot in each river, and see the clear waters of a third waterway, Baker Creek, join them. To her, this signified a meeting place not only for the rivers, but also for her family, who have traditionally enjoyed gathering there. In the contemporary Salish style, each of the rivers is represented by a salmon head motif. Interestingly, the area around Main Street would have once been a river teeming with salmon. Sen, who visited Vancouver in 2014 for Indian Summer Festival, spent several weeks in the city, including time in the Punjabi Market area. He responded to Susan Point’s work with another kind of weaving together; in the form of the textiles and carpets sold traditionally in markets in Punjab for centuries, and in Vancouver’s Punjabi Market as well. His work shows a woman seated on the floor, weaving a traditional ‘Dhurrie’ on a handloom. The pattern-based motifs in both artists work speak to each other in a sort of visual ‘jugalbandhi’ or duet. 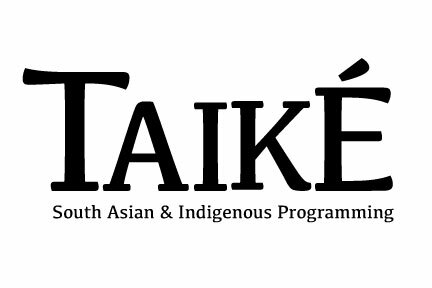 This project celebrates and amplifies the past, present and future of South Asian and First Nations communities in the Punjabi Market area. ‘Art for Punjabi Market’ was curated by our Artistic Director Sirish Rao. We gratefully acknowledges assistance for the project from the City of Vancouver and Langara College. The project was enriched by the inputs of a wide range of community members. Thanks to Naveen Girn, Ayme Sharma, Rup Sidhu, Paneet Singh, Milan Singh, Pall Beesla and Bhupinder Hundal. And most of all, thanks to Susan Point and Orijit Sen for their brilliant work. Susan Point O.C., DFA., RCA., D.Litt. (1952 –) is a descendant of the Musqueam people; she is the great, great, granddaughter of chief Capilano.vMusqueam people have lived in the areas stirred by the mouth of the Fraser River for more than five thousand years. The name Musqueam relates back to the River Grass, the name of the grass is məθkʷəy. Susan inherited the values of her culture and traditions of her people as were taught to her mother, (Edna Grant-Point). Susan’s distinct style has induced a movement in Coast Salish art. She draws inspiration from the stories of her ancestors and commences the use of non-traditional materials and techniques, thus inspiring a whole new generation of Northwest Coast artists.vSusan is an officer of the Order of Canada and has been presented with the Queen Elizabeth II Diamond Jubilee Medal. She has been acknowledged by: an Indspire Achievement Award, a YWCA Woman of Distinction Award, a B.C. Creative Achievement Award, appointed lifetime member to the Royal Canadian Academy of Arts, was elected to the International Women’s Forum, was listed one of B.C’s 100 most influential women, and was one of Vancouver’s 2012 Remarkable Women. Susan has Honorary Doctorates from: the University of Victoria, Simon Fraser University, University of B.C. and Emily Carr University of Art and Design. Orijit Sen is one of India’s most renowned graphic artists and designers. He trained at the prestigious National Institute of Design, Ahmedabad (blueprinted by Charles and Ray Eames after their visit to India in the 50’s). Orijit went on to found People Tree, a centre for design, crafts and sustainable living, which has grown over the last 25 years to become a celebrated and unique cultural space that has nurtured many an upcoming designer, writer and musician. Orijit has helped conceptualise, design and execute several exhibition and museum design projects, including the India Pavilion at the World Expo 2005 in Aichi, Japan and the Virasat-e-Khalsa Museum in Anandpur Sahib, Punjab. The giant mural he created for the Moshe Safdie-designed Khalsa Museum is perhaps his most impressive project, standing 20 metres high and 70 metres long, chronicling all aspects of Sikh life, from the mundane to the mythic, spanning centuries and continents. Orijit also works with graphic narrative forms and is considered the pioneer of the graphic novel in India. His work The River of Stories (1994) and more recently the Pao Collective (Penguin India) explores the meeting ground of older storytelling traditions and contemporary forms. From a plaque installed by the Vancouver Heritage Foundation as part of the ‘Places that Matter’ project.